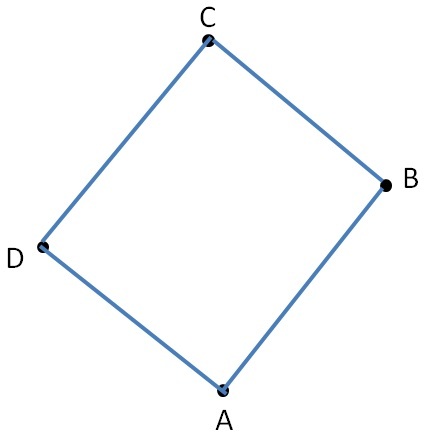 CD, DA are adjacent sides"
∠A, ∠B are adjacent angles. ∠A, ∠D are adjacent angles. ∠B, ∠C are adjacent angles. 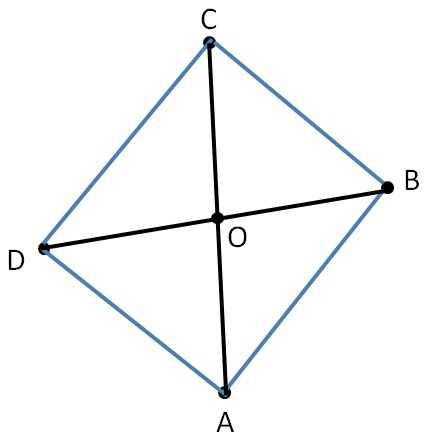 ∠C, ∠D are adjacent angles. Line joining two opposite vertices of a quadrilateral is a diagonal. Here, AC, BD are diagonals of the quadrilateral. And they meet at point O.